Unless you have a time machine, it's impossible to go back to days past. ASG's "We Love the '90s" promo is doing the next best thing and cutting prices back to their 1990s levels. For a limited time, you'll save hundreds of dollars on select ASG HIOS Electric Screwdrivers AND get a free PS-55 Power Supply with purchase. Valid through June 30, 2015, ASG's throwback prices (#ThrowbackPricing) bring you an average savings of $277.25 on eight eligible top-quality electric screwdrivers. These screwdrivers span a range of driver types, torques, RPM speeds, and driver sizes. With each eligible screwdriver purchased, you will receive a free PS-55 Power Supply (added to your order automatically). The PS-55 is a high-performance power source recommended for precision low-voltage electric drivers. For detailed information about "We Love the '90s" eligible ASG Electric Screwdrivers, please visit QSource.com. 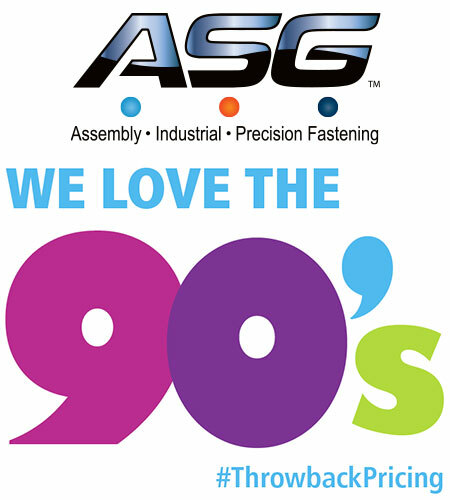 To purchase an eligible ASG HIOS Electric Screwdriver, please visit our ASG "We Love the '90s" page. And, remember, you'll also receive the FREE PS-55 Power Supply with each select screwdriver purchased. You may also contact us via our Web site, by phone (800-966-6020), or via email. Please note: This promo is valid from February 1, 2015 to June 30, 2015. If there's a product or topic you'd like to see The Q Source Resource write about please let us know. We'd also appreciate if you share this blog post with your friends and colleagues via the social media links below. If you have questions or comments about anything on The Q Source Resource or QSource.com please leave us a message in the comments section.